President Uhuru Kenyatta has commissioned the construction of a new 55.5 billion Kenya Shillings terminal at the Jomo Kenyatta International Airport that will give the airport an extra handling capacity of 20 million passengers annually and enhance its status as a world-class regional hub. Construction of the state-of-the-art facility will begin immediately and is expected to be completed by 2017. 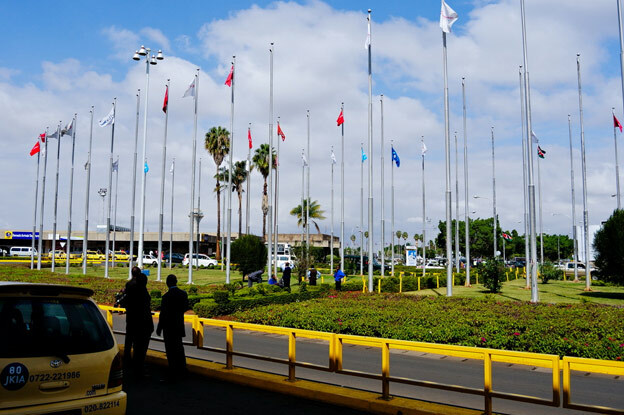 JKIA was built to handle 2.5 million passengers annually but over 6.5 million passengers use the airport each year. The location was significantly damaged by fire earlier this year when an electrical fault caused a blaze in the international terminal. The new terminal will be able to accommodate 3,133 international passengers, 2,403 transiting passengers and 845 domestic passengers in a typical peak hour, boosting the airport’s capacity to 20 million a year. Speaking at the ceremony Kenyatta said that the terminal will usher in a new era in African aviation. “This facility will enhance our efforts to uplift the living standards of the Kenyan people through business opportunities and foster national and regional socio-economic integration and development. It will open up Kenya to the world and stand as a testament of our openness to global partnerships,” he said. Spanning 178,000 square meters, the terminal will feature 50 international and ten domestic check-in points, 32 contact and eight remote gates, an associated apron with 45 stands and linking taxiways, a railway terminal, a bus park and street lighting. The terminal design will be environmentally sustainable and certified by the World Green Building Council. Construction of the new terminal will be jointly carried out by two Chinese companies, Anhui Civil Engineering Group and China Aero-Technology Engineering International Engineering Corporation. The new terminal is part of long term plans to expand and modernise JKIA. Future developments include the construction of terminal four, an interim terminal, the redesign of terminals one, two and three, a second runway and remote bussing gates.